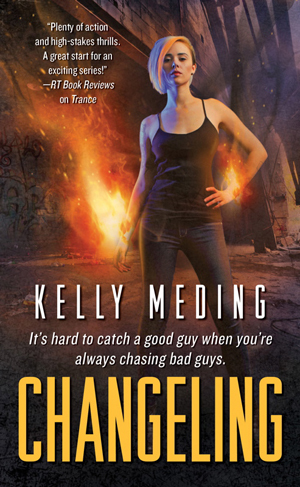 For my fourth Authors After Dark Spotlight, I am very excited to have Kelly Meding! I am a virgin. *cough* An AAD virgin. I’d hoped to attend last year when the convention was in Philly, because it’s very close to where I live, but that never worked out. I’m super-excited to be going to New Orleans for the first time, though! Talking to readers and bloggers, and getting to meet some of the people I only know from the internet. I like being able to put faces and voices to names. Plus I just love talking about books (mine or other people’s). And did I mention New Orleans? I’m excited to get to see Mark Henry and Nicole Peeler again (we met a few years ago at Dragon*Con), as well as a few of the other attending members of the League of Reluctant Adults. I’d also love to chat with Kelly Gay. Our debut UF novels came out the exact same day and we did some fun cross-promotion for it, and we’ve kept in touch since. 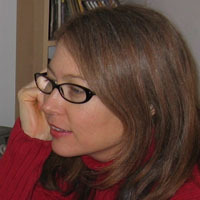 I may also have to briefly stalk Jeaniene Frost. I’m pretty sure I started screaming. In the instant my agent said we had our first offer on THREE DAYS TO DEAD, I saw a pretty little light in my head that said “This Is Happening.” But don’t worry, I don’t think I was loud. I probably jumped up and down a little bit, too. My most vivid memory of the whole process was after we accepted the offer from Bantam. I was on the phone with my dad, telling him about it, when the call waiting beeped in. I remember looking at the display, then telling my dad, “I have to call you back. Random House is on the phone,” while quietly freaking out. It was the most surreal moment. Of the six books I’ve sold and are being published (as of right now), I think my favorite is WRONG SIDE OF DEAD. Evy completes an emotional journey in this book, and it was fascinating to write. Plus we get to see different sides of so many of her friends and really expand the world she lives in. But TRANCE comes in a very close second place. Teresa West from TRANCE. Since I wrote TRANCE before I wrote THREE DAYS TO DEAD, Teresa was my first “urban fantasy heroine,” even though she’s actually a superhero. 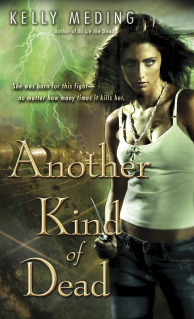 I had an amazing amount of fun writing her, because she’s a bit of a reluctant heroine. She’s never thought of herself as a leader, and then suddenly she’s responsible for other people’s lives (and the safety of millions of people). Her journey was a fun challenge (as was her snark). There are too many to narrow it down. I’m a huge fan of both Mercy Thompson (Patricia Briggs) and Cat Crawfield (Jeaniene Frost). I also adore every character in the ACRO series by Sydney Croft. Not exactly, no. I suppose I haven’t written anything that’s shocking enough to get a reader to write me and complain? *grin* That said, I do love hearing what folks do and don’t enjoy in my books. In general, though, the biggest reaction to something I’ve written seems to be Alex’s death in THREE DAYS TO DEAD. It’s a pretty big surprise, and one or two people said it made them cry. I’ve been a reader since I was a kid. I would read at the dinner table whenever I was allowed, and spent more time during summer breaks reading than doing almost anything else. Fortunately, I was able to counteract the boring high school required reading with healthy doses of Stephen King, James Ellroy, and Star Trek tie-in novels (it was a phase, don’t ask), so I never lost that love of reading. Beloved, by Toni Morrison. And I remember it so vividly, because reading it was so incredibly painful. I hated that book. Loved the concept. Hated the execution and writing style. LA Confidential, but The Dark Knight is a very close second. I fell in love with LA Confidential from the first viewing (not to mention with Russell Crowe). It’s such a multi-layered film, and the cast is just incredible. Neither. I’ve become a daytime person. I hate waking up, but find myself more productive if I don’t sleep too late in the morning. And I’m not the night owl I was in college. I used to stay up until two a.m., and now I’m lucky to make it past eleven-thirty most nights. As a junior in college, I spent a semester doing a satellite program in Los Angeles. As part of the curriculum, I interned four days a week at John Wells Productions on the Warner Bros. Studio Lot. At the time JWP was producing “E.R.,” “Third Watch” and “The West Wing.” I walked past the “E.R.” soundstage every day, and I once saw Eriq LaSalle and Michael Michele playing basketball. Goran Visnjic said hello to me in passing, and I about died from blushing. And I attended the “The West Wing” season two wrap party (why yes, I did stalk Bradley Whitford a little bit). The whole thing was an incredibly fun, educational experience. Your fourth book in your Dreg City series (one of my faves), Wrong Side of the Dead, is releasing next Tuesday, January 31st? Can you tell us a little about your Dreg series and what we can expect from the latest installment? Dreg City is set in a fictional city where the paranormal nasties (vampires, goblins, etc…) are kept in line by small teams of human Hunters. The heroine of the series, Evangeline Stone was originally brought back to life temporarily to solve her own murder and help stop a war, and thanks to a nice little loophole, got to stay alive. But the threat of war is always there, and the human Hunters are slowly being outnumbered by their enemies (and occasionally betrayed by their allies). Through it all, Evy’s trying to adapt to her second life, as well as figure out her complex relationship with ex-boss Wyatt Truman. In WRONG SIDE OF DEAD, we see how things have changed since the final chapters of the third book (big battle, major consequences). Walter Thackery is back and this time he brought reinforcements. We also get to see more of the inner workings of the Therian Clans (shapeshifters), and Isleen is back with a few vampire friends in tow. Relationships change—some for the better, some for the worse. And one person we care about is never the same again…. What’s next for your Dreg City characters (after Wrong Side of the Dead ends)? That’s a bit up in the air at the moment. As of the first of the year, I’m not contracted for any more Dreg City books. I know exactly where the story is going, though, and I do hope to get the chance to finish it. You also have another series in stores now. 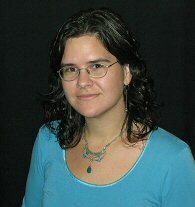 Your Meta Wars series currently has one book one shelves and the second book, Changeling, is expected to be released in the Summer of 2012. Can you tell us a little about that series? MetaWars is my take on superheroes. I’ve been a fan of superheroes and comics since I was a kid, and this is a concept I’ve been playing with since I was fourteen. It took a lot of drafts and a lot of years to bring TRANCE to readers, but it was worth it. The series is set in a somewhat parallel, future society in which heroes and villains have nearly destroyed the world with their epic battles. Cities are ruined, the economy is in the toilet, and people are afraid. In the final moments before the last of the heroes are killed, everyone with powers suddenly loses them. Fast forward fifteen years later. Just when the world is starting to recover, all of those powers suddenly come back. TRANCE is the story of those scattered heroes coming back together. CHANGELING takes their tale further by introducing a new kind of villain for the Metas to deal with. Thank you so much for having me! I can’t wait you see you and everyone else at AAD in New Orleans! Giveaway time. As I mentioned, the Dreg City series is one of my favorite Urban Fantasy series. It’s dark and gritty and thoroughly original. Kelly is giving you a chance to win any one of her Dreg books. Meaning, if you are new to the series, you can choose to win Three Days to Dead, book one. 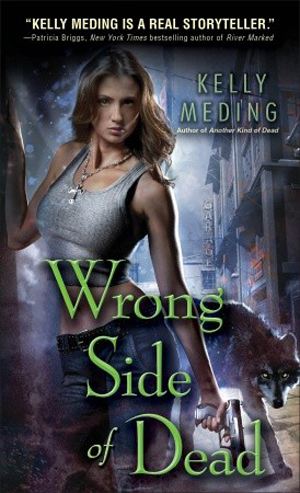 Or if you are up to date and are dying for the latest installment (due out Tuesday, January 31st 2012) you can choose to win Wrong Side of Dead. Same goes if you are up to books two or three – you can pick one of them. So to enter this great giveaway, simply leave a comment below telling us which book you would like if you won. Giveaway open in Canada/U.S. and you have until Sunday, January 29th 2012 11:59EST to enter. Good luck everyone and THANKS to Kelly for offering her great books for the giveaway. 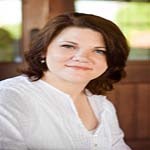 Share the post "AAD Author Spotlight: Interview with Kelly Meding plus giveaway"
Thanks so much for the interview and giveaway! I’m jealous of all the people headed to AAD NOLA, that’s for sure. 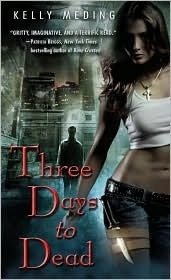 I haven’t read any of the Dreg City series, so I’d love a copy of Three Days to Dead. I would pick Three Days to Dead. This is a new series to me but after reading this post, I wish I already was reading it. OMG..OMG..OMG…SOOOOO would love to win Wrong Side of Dead– this is one of my favorite series!!!!! I would love to start this series..So whichever one is fine with me… I am so excited about AAD New Orleans and I will be there!! 🙂 My BFF and I are going and we are “virgins” too! I am thrilled… I live in Baton Rouge.. So I do not have far to go! See y’all there! I would love to win Another Side of Dead! I recently bought the first two in the series and am looking forward to reading them. great interview Julie….did she say anything more about this? “What’s next for your Dreg City characters (after Wrong Side of the Dead ends)? if not….ur gonna have to get the scoop!!! Please! Dreg City is also one of my favorite series, I have the books in ebook format but would love to participate for a copy of Three Days to Dead. I’m looking forward to AAD, I can’t wait to meet Mrs. Meding. Thanks for the giveaway and the awesome interview. I LOVE EVY! I cannot wait to meet Kelly at AAD! I would love to top off the collection with Wrong Side of the Dead! Love this series! I would love to win Wrong Side of Dead. I really enjoy Evy! I can’t wait for AAD this year to meet you and everybody else!! Thanks for such a great giveaway!! 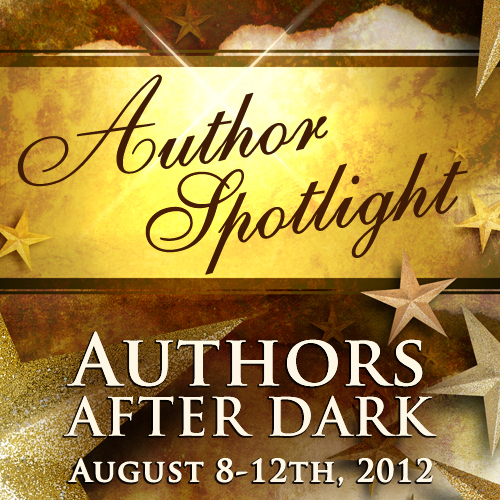 Thanks, everyone, for participating in the giveaway, and I’m excited about AAD! I really love UF. 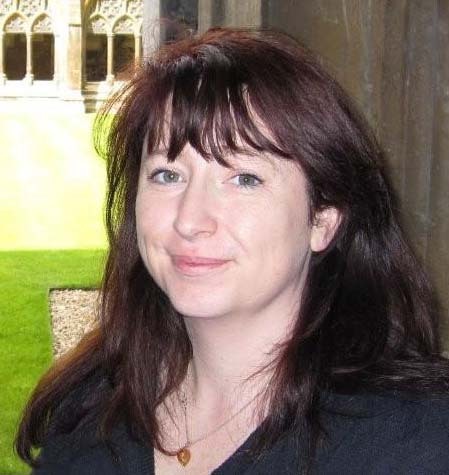 I am a big fan of Patricia Briggs. In fact, I have introduced her books to many people. I actually attended AAD in Philly and I was hoping to attend in NOLA. Sadly, I won’t be there but I am now workin on 2013! AAD is a lot of fun and I thought it was great because it was so small and personal. Stella does a great job. Wow…Kelly what a great surprise getting ur answer! thank u….i have definitely been spreading the word! love the series and Trance was great too! Since I have not read any of this series yet, I would pick THREE DAYS TO DEAD. Thank you so much for the chance. And I hope you have fun at AAD. I would have to pick Three Days to Dead since I’m new to the series. But they’re now moving to the top of my to-read pile! Have fun in New Orleans Kelly! I’d to win Wrong Side of Dead, can’t wait to read it. 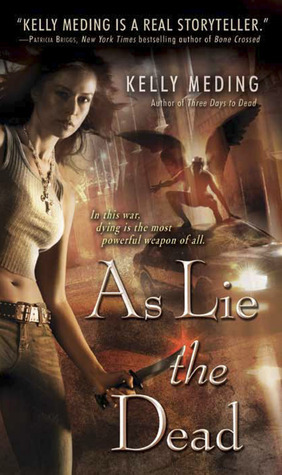 I’d love to get a copy of book #2, As Lie the Dead. The first book is sitting on my TBR pile and if I had the second waiting to go, I know I’d get started on them. Great interview.I have book one so I would love to win As Lie the Dead. I’m counting the days ’til Wrong Side of Dead. I’d enjoyed Evy’s story thus far and can’t wait to see where you take her next. 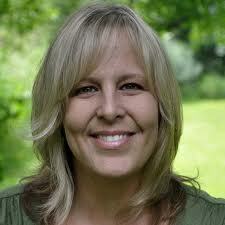 Hi Julie and Kelly, thanks for the great interview, your books have been on my wishlist for a while now. I wish you all lots of fun in New Orleans. And one day I will visit America and AAD! It’s a new series for me so I would choose – Three Days to Dead. I am always excited to read new series that you like Julie. Awesome interview Julie! Especially since it’s with an author of a series that you have really enjoyed so far! I really do need to read the Dreg City Series! Three Days to Dead is on my listed of books to check out. Three Days to Dead please, I am very interested in checking this series out! Kelly is a new author to me so I’d love to start her series with book 1, Three Days to Dead. Thanks so much for the post and giveaway! This is a new series for me so I would love book 1. the series sounds fantastic. Every time I see you have a new AAD author spotlight up, i just get super excited for August, then I freak out because I am trying to read as many books as I can.